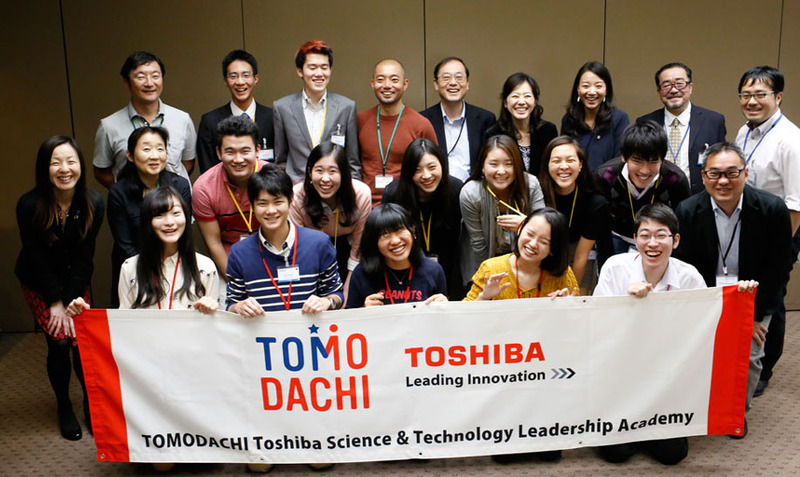 On October 16, 2016, an alumni reunion and post program debrief session was held in Tokyo to conclude the TOMODACHI Toshiba Science and Technology Leadership Academy 2016. At the session, five participants and five teachers that participated in the 2016 program gave a short presentation about their experience and achievements. Ms. Mayuko Kosuge and Mr. Takahiko Shibata, who had participated in the program in 2014 and had assisted the program in 2015, organized and led the session to help deepen the connection and the bond between past and current participants. TOMODACHI Toshiba Science and Technology Leadership Academy (TTA) is a one-week program designed to foster closer ties between both U.S. and Japanese high school students, to nurture a strong sense of STEM (science, technology, engineering and math) literacy, and to seek the solutions of the various issues in the future, such as developing a disaster-resilient, smart community. Mr. Yota Shibachi, CSR Department of Toshiba Corporation made brief remarks reflecting on the past three years of this program. He provided valuable advice and lessons learned that will help make the program even better. At the end of the event, a networking session with participants from all three years gathered to introduce themselves and to share their reasons for participating in the program. After the ice breaker, the students shared their ideas on ways to strengthen their connection with the alumni in this program. There were various proposals on potential events such as planning dinner parties several times a year, creating a booklet which includes the story of participants’ experiences, as well as designing all day workshops that will gather program alumni. These types of innovative ideas and the ability to exchange opinions freely can also be attributed to the impact the program has had on the students. “A program participant from last year recommended this program to me and I was very excited to participate this year. At first, I was a bit nervous as to whether I could keep up with the other participants due to the high level subject matter in the discussions. 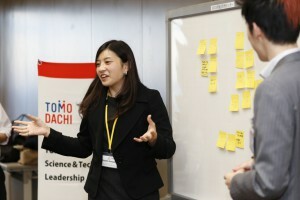 However, I gained more confidence as each day passed since I could contribute to the discussions,” shared Hanako Hirata, who participated in the program this year. This event enabled the alumni of this program to deepen their connection while creating a community that supports each other. It is hopeful that they will continue to interact and build upon these relationships in the future.